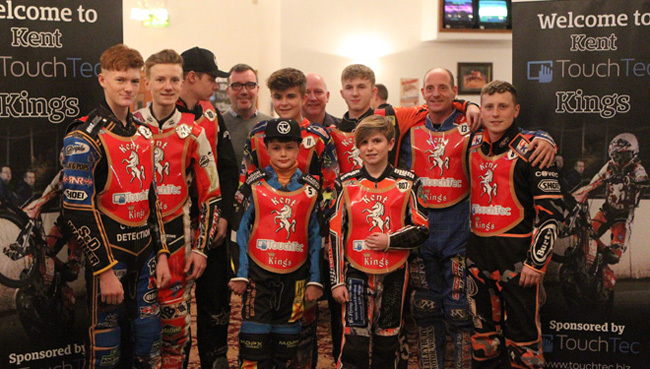 Let the Presses Roll – Kent Speedway’s new club sponsor has been announced! Based in the City of London at the heart of the nation’s business and financial and office services hub, TouchTec are at the very cutting edge of modern technology companies – with a unique and fresh way of looking at things and applying innovative solutions but a traditional way of doing them! 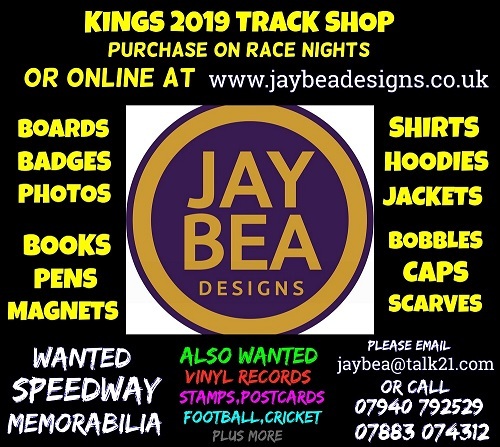 From King William Street to the Kent Kings, TouchTec are bringing their financial backing and expertise in the printing and allied creative and media industries and business solutions to Kent Speedway with the Kent TouchTec Kings looking to lead the way in National League Speedway in 2019. Hailing from Folkestone, TouchTec’s owner Rob Kashdan is delighted that his company are on board as the county’s professional Speedway’s team’s backer for both the 2019 & 2020 campaigns. “We’re delighted to welcome TouchTec on board as main team sponsors. Rob’s huge enthusiasm for the sport and in seeing that we are best as we can be is indicative of his company’s approach to business and like TouchTec our aim to be the top of our game for the forthcoming Speedway season”. That campaign begins on Easter weekend with a Good Friday (April 19th.) away trip to Plymouth and the home season starts at 4pm on Easter Monday (22/4) with the visit in a one-off challenge match with Manchester club, Belle Vue Colts.